WASHINGTON — The House Science Committee is expected to approve a bill that seeks to improve regulation of commercial space activities, but not without criticism from some within the industry. The American Space Commerce Free Enterprise Act, H.R. 2809, was formally introduced June 7 by Rep. Lamar Smith (R-Texas), chairman of the House Science Committee. 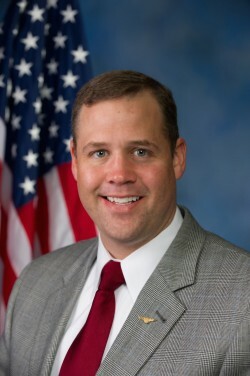 The bill has eight other co-sponsors, including space subcommittee chairman Rep. Brian Babin (R-Texas) and Rep. Jim Bridenstine (R-Okla.), a member active on space issues who remains a leading candidate to be named NASA administrator. The bill has bipartisan support and is expected to clear the committee during a June 8 markup and go to the full House. The bill seeks to streamline the process of licensing for commercial remote sensing satellites, currently handled by an office within the National Oceanic and Atmospheric Administration. It also sets up a similar “certification” system for commercial payloads not otherwise licensed by the government, addressing an industry concern about a regulatory gap for “non-traditional” applications like satellite servicing, commercial space stations and lunar landers. “The bill establishes a favorable legal and policy environment for free enterprise with maximum certainty and minimum burden for stakeholders,” said Smith in a statement June 7 announcing the bill’s introduction. “This enterprising bill provides an efficient, transparent, and streamlined structure for authorizing and supervising future space activities to create the path for future exploration of the final frontier.